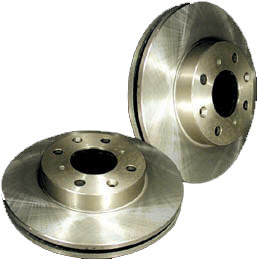 Replace your worn out brake rotors on your Mini Cooper with Centric Premium Replacement Rotors. C-Tek Standard Rotors feature original equipment specifications and production processes. All Centric rotors are manufactured to meet QS and ISO Quality System Standards. The rotors are 100% inspected and mill balanced to ensure OE quality and a perfect finish. Centric rotors feature a double disc ground, taper free finish. This means the rotor has a near perfect finish, and a non-directional finish on the surface area for a more effective pad-rotor break-in. The rotors are sold in pairs. When price is important and quality is essential, C-Tek Rotors offer many benefits of an OEM part at a fraction of the cost.